And Happy Holidays as well! 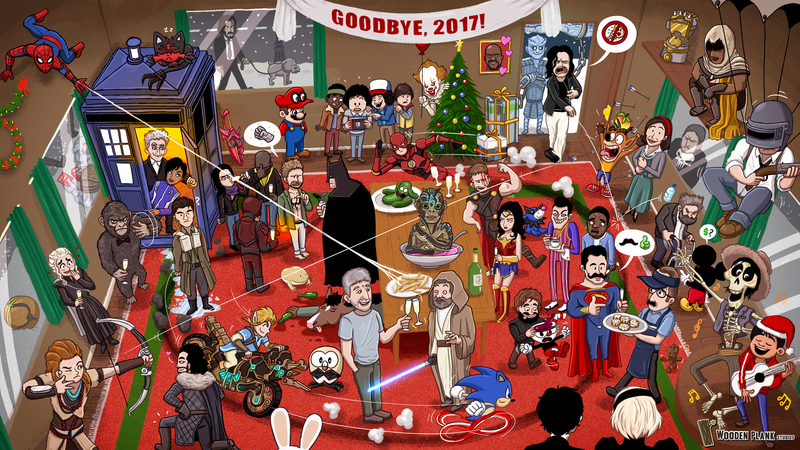 The Big 2017 Pop Culture Party is finished. Thank you all for all the input. I’ve tried to put in as many characters as I could. Apologies if your suggestion didn’t make the cut, but it started to get extremely crowded so I had leave a few out. Also, I want to thank you all for all the comments, likes, and general support. You guys rock and we hope to make continue making comics for you for a loooong time! 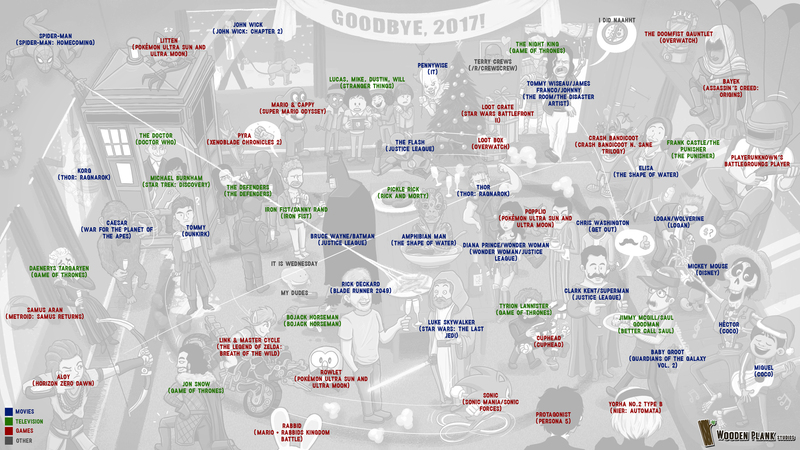 Instead of a list, you can check out this handy visual guide to see which character made the cut, in case you don’t recognize them.